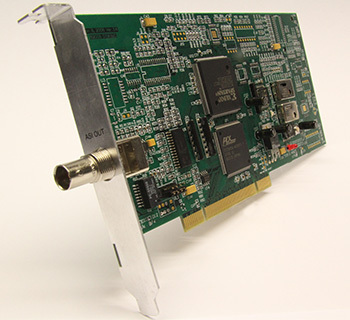 The PCIS-1100 is a DVB ASI (Asynchronous Serial Interface) transport stream output card that enables a PC to create a single ASI transport stream output. The PCIS-1100 was designed to work with PSIP Pro electronic program guide software; PSIP data is generated, packetized and output in the ASI transport stream format. The PCIS-1100 is a perfect hardware choice when PSIP is feeding downstream devices that do not have an IP interface or if you want ASI in the event of network outages.